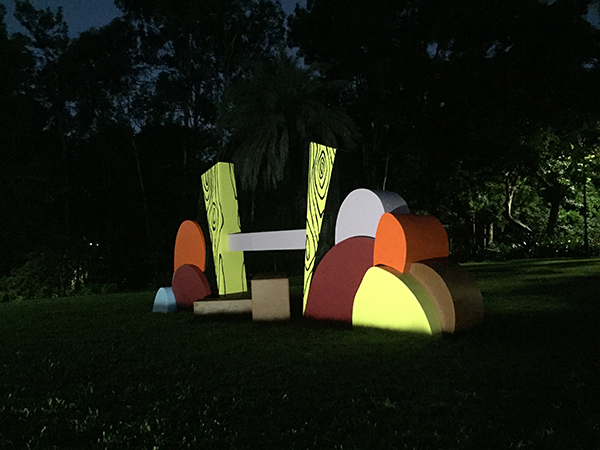 Stile was commissioned by Brisbane City Council for BOTANICA: Contemporary Art Outside, an exhibition of work by 16 artists transforming the Brisbane City Botanic Gardens into a temporary outdoor gallery during the 2018 Commonwealth Games. Stile takes the form of a freestanding ‘stile’, such as those seen to allow access across fences and hedgerows. 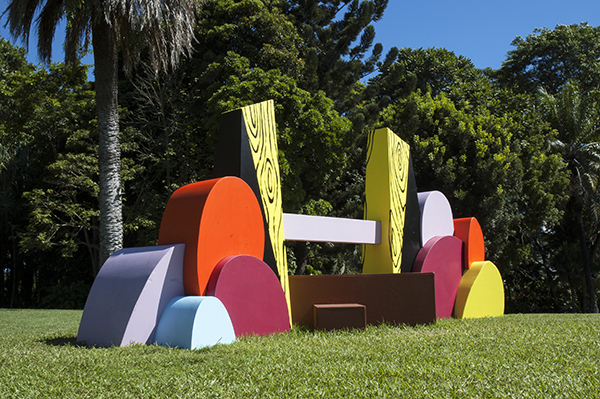 It is fabricated from painted plywood and timber and sits atop Residence Hill. 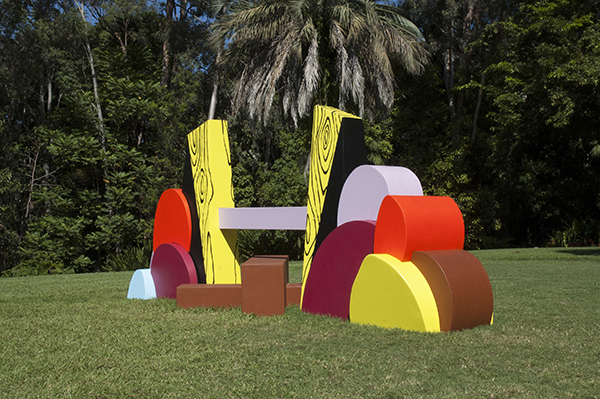 Stile makes reference to the romanticising and claiming of nature as seen in formal public gardens and those often depicted in neo-classical style paintings of the Australian landscape. However, Stile isn’t part of a barrier or boundary. It represents the duality of restriction and access and the issues of ownership that this presents. It represents a fence with steps over it, flanked by decorative topiary. 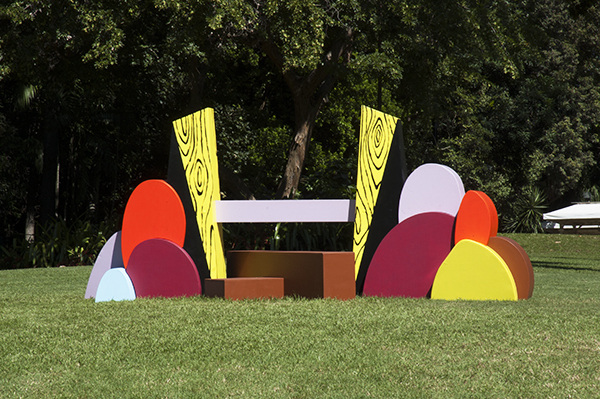 The colours and form of Stile make reference to early/mid 20th century ceramics and tableware which depict stylised views of bucolic landscape. 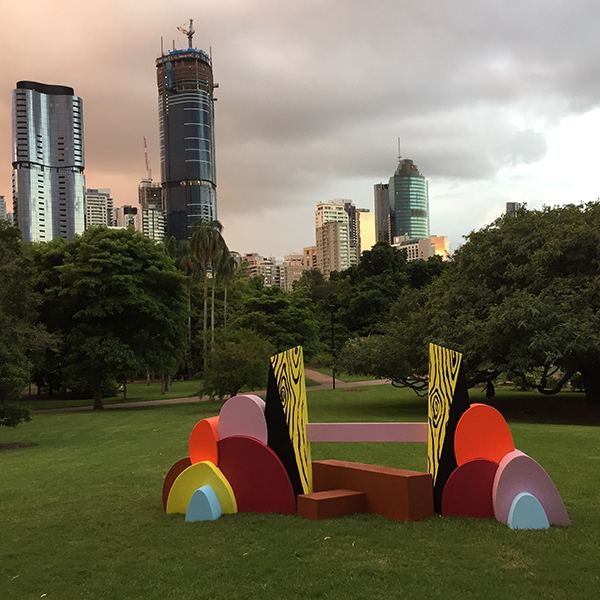 This period in history reflects the development and urban growth in Brisbane city at that time. 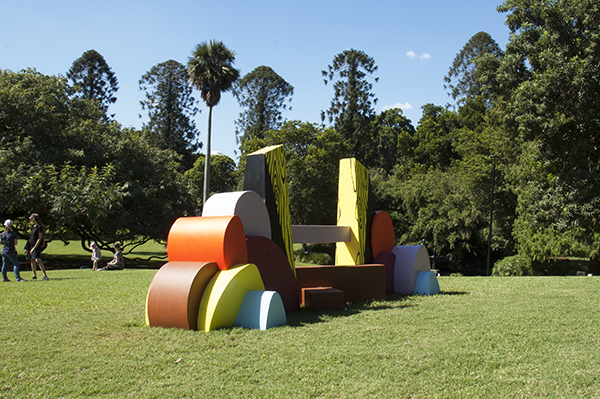 The public were invited to climb over the Stile to become an active participant in the artwork.